Hon Fraser was speaking at a public meeting at St Mary’s Church Hall on Virgin Gorda, last evening, March 7, 2018 where he presented the case that the Territory could become the victim of countries and institutions whose agenda is to enrich themselves while making other countries heavily indebted and ultimately getting the upper hand over those countries’ government and economy. His fear is that the borrowing of millions of dollars for the hurricane recovery efforts without proper planning in place to allow the Virgin Islands and Virgin Islanders to truly benefit will only place the Territory in huge debt for generations to come with nothing to show for it. He warned especially against going to the International Monetary Fund (IMF) for major loans, recommending that the Territory borrows in small amounts, from “local” institutions. 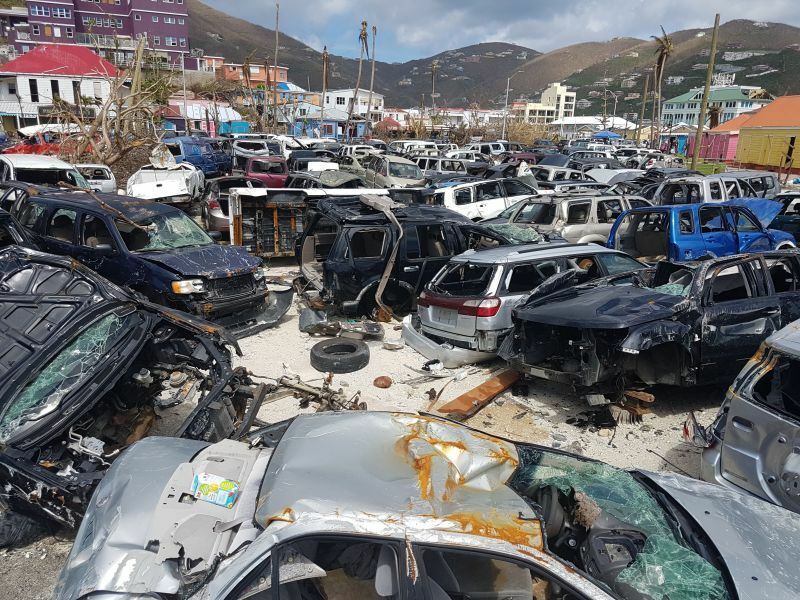 Government had announced that some $721M will be needed over the next five years to restore and develop the Virgin Islands following the devastation of hurricanes Irma and Maria in September 2017 and has been seeking loans to this end with permission and guarantees from the United Kingdom. But Hon Fraser is not impressed that the United Kingdom has not sought to help its Overseas Territory in a more substantial way, saying that persons should make no mistake about the importance of the Virgin Islands to the United Kingdom Government. According to Hon Fraser, the UK had told the VI that it must have liquid assets of 25% of its recurrent expenditure, which at the time was quoted at around $75M. 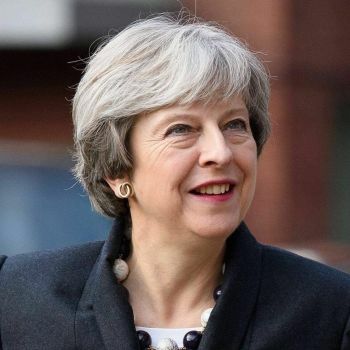 The purpose of the liquid asset was to mitigate against any debt to the United Kingdom Government in the case of a disaster in the Virgin Islands. Making the case of the importance of the VI to the UK, Hon Fraser said 23,000 properties worth $63B in England and Wales alone are owned by companies registered in the Virgin Islands, some 11,700 companies. Companies registered in the VI own a quarter of all the foreign owned properties in the UK, Hon Fraser added. 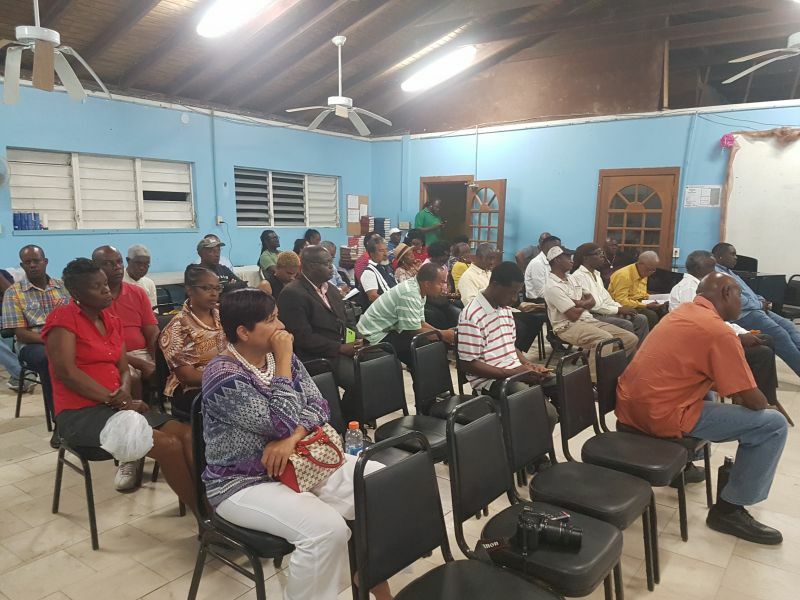 Meanwhile, the public meeting was attended by close to 50 persons, many of whom expressed their concerns about the borrowing of loans and the general state of the Territory some six months after the Category 5 hurricanes, Irma and Maria, in September 5, 2017. Also at the meeting was Ninth District Representative Dr The Honourable Hubert R. O’Neal. Boss you and the rest of the government asked them for a loan, u all was suppose to ask them for hand up, but then again government pass and present spent a lot of time bashing the UK now them suppose to lay down and roll over for the bvi, set of jokers! I am one that believe one should be responsible for their self and can't understand how from one side of your mouth you speak of independence and now begging for help. You saved what you were told and perhaps what you thought would be enough 75M and now its not so how will you as people get on with taking care of you business vs bitching about what these people aren't doing for you. Are you allowing the UK to register is 63B in Property at no cost, if that is the case your mistake now correct it. The conditions and outside scrutiny that will come with the UK guaranteed loan finance give an opportunity to transform the BVI for the better by breaking down the small cartel of people who profit at the expense of everyone else, and buy off the tiny electorate with jobs in the civil service and petty contracts for poor quality work. That's why this opposition to the funding is coming out, because it upsets the existing power structures; even though we have smashed schools, terrible roads, sewage in the streets and on the beaches and rampant gang crime. Wake up people and see what's going on. Get the finance sorted and get some large scale foreign re-construction expertise in to work with local sub contractors, but to a high standard. And sort the port out while you're at it. Next hurricane season is round the corner. If we don't do this, Haiti shows us the future. Too true! You call it as it is! I wish I could like this approximately 721,000,000 times!!! U K. Did nothing to us. We did it all to ourselves.. We enjoy and like the blame game.. The Parent were told that her child is a rude child the parent spoke to the child about its rude ways and beg the child to change. The child refuses to change. Now the child is a criminal they blaming the parent for not willingly want to help the child.. Seems like only a few people turned out for meeting. Photo can be mist leading however those who could not attend it was live on ZBVI. The disgrace is the HOA. This is why London wants to monitor the way monies are spent. If you are not happy Mr Fraser then propose to your Government (you are a member) that they reject the offer and find finance without the UK's assistance, that might be preferable? And, don't forget, you might require further assistance after this years season. All those houses are held by BVI companies to ensure that Inheritance Tax does not need to be paid in the UK. A loophole soon to be closed and then there will be no benefit to owning through a BVI company. 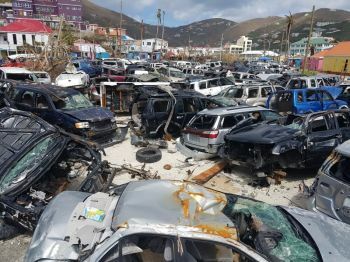 The British government will be delighted for there not to be a need for BVI companies to hold properties. The leadership doesn't understand the british empire of colonizers & enslavers. They paid themselves reparations bonds from slavery debts and told us the victims of slavery to forget about it. And we have these weak white worshipping traitors to their own people making decision for the rest of us and our generations to come. The were offered grants and chose loans. Their agenda has always remained the same which is the complete subjugation of all Afrkyan people in Afryka and abroad. Slavery was never abolished just the slave trade. Their agenda is to keep us disadvantaged. You have to know this if you are to deal with them. Wake up. You "mentioned HISTORY and FACTS". History is full of facts. An infinite number of them. You choose these ones as a way to see the present. This is your choice. But that's all. Your choice. Others know what you are saying to be true, but some will look at many other facts, and add those into the equation. By setting up your world view based only on those facts, you narrow the possible interpretations of the present. You want to lock us into a colonial-slavery paradigm because of the injustices of those eras. But is that the best way to make things better for the human beings living here in the BVI right now and tomorrow? Your understandable anger at the past is in danger of limiting our possibilities for the betterment of the people here and now. I suggest you don't just read one kind of history book. read as many as you can and your views will be more informed and more practical. That's how we figure out today and tomorrow. It's a disgrace what we, British Virgin Islanders, have done to ourselves with imperialism, nepotism, egotism, misappropriation of funds, inflated financial demands on government agencies, poor infrastructural design, maintenance and contracts, poor educational planning, poor citizenship and patriotic development programmes, questionable immigration and workforce policies, lack of transparency and accountability from leaders, strength in numbers for destructive discourse about our territory, but lack of positive and constructive discourse, encouragement or initiatives. We want to bite hands that feed us; have our cake and eat it, yet we refuse to take responsibility and ownership of the problems we have created and encouraged. Well Said Ha and it not as if the Country did not have the money to put all those things right. Its own income not loans. Its a shame and a disgrace to drive pass by our bvi HGH school badly damaged from hurricane not bren touched in 3 months mote hurricsne. I want to ask what happen to haycraft milion donted to education?. Thought our high school would have been priority.. These are some the reasons why england treating us like children.. Thought Fraser was a radical but he proved to be a chicken head. Showing a letter and afraid to say who signed it. lmao a disgrace? look at the high school, y’all can’t even hire people to clean up and set up tents, these mfs be so quick to blame somebody then kiss a$$ to another. Now I like Fraser as he stands behind what he believes even though I don't agree with him most of the time. The UK needs guarantees just like the BVI tax payers needs them for a $300mil loan. $7.2 given away without due diligence a $1.5ml brick wall a $3mil greenhouse a $150mil pier park a $150mil hospital and list list and figures go on and on and up and up. The $300mil would disappear without the UK holding the purse strings.